Our traditional idea of the top five browsers may be over-simplified, outdated and skewed. You’ve probably seen lots of slides that look like this. Chrome, Firefox, Safari, IE/Edge, Opera… It is a common idea that these are the five “major browsers”. Our familiarity with them is comforting, but it might be a skewed and outdated view. Partly from our Western bubble and partly a hangover from the days of desktop dominance. Let’s take a look at some numbers so we can better represent the reality. Hey there’s a weird orange logo in the middle! 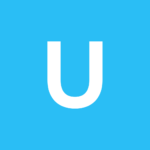 That’s UC Browser — originated in China and owned by Alibaba Group — which has a notable market share, particularly in Asia. For example, in Russia (population: 143 million), StatCounter suggests Chrome is on top as we would expect, but guess which comes second? 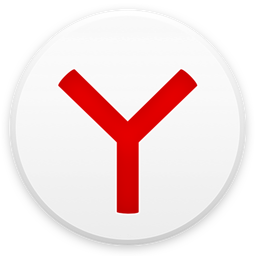 It’s one we don’t tend to see mentioned much here: Yandex. We know that mobile is “eating the world”. In fact, StatCounter recently announced that, according to their data, Android has now surpassed Windows as the world’s number one Internet platform. However, out of habit, we still tend to think about desktop by default! Source: StatCounter, Feb 2017. Percentages rounded to nearest whole number. *Note: I’ve used the Opera Mini logo, but these stats do not break out Opera Mini, Opera Mobile and Opera Coast. As for Opera on the right — in 2016 Opera shared that Opera Mini was Africa’s favourite browser, with an impressive 58% market share. Business coaches often teach us to recognise and challenge our own assumptions. Our assumptions about browser market share should be no different. The data may tell a different story. I’ve referenced StatCounter above, but I would also suggest seeking multiple sources. Although StatCounter’s data are aggregated from over 3 million websites, it should still only be considered an approximate picture of reality. You may get some anomalies, especially when you narrow down on specific geographies and platforms. Is the best data your own data? And next time you’re making a slide to share about browser support, or see someone else present one, please take a moment to consider: is this based on assumptions, or on data? 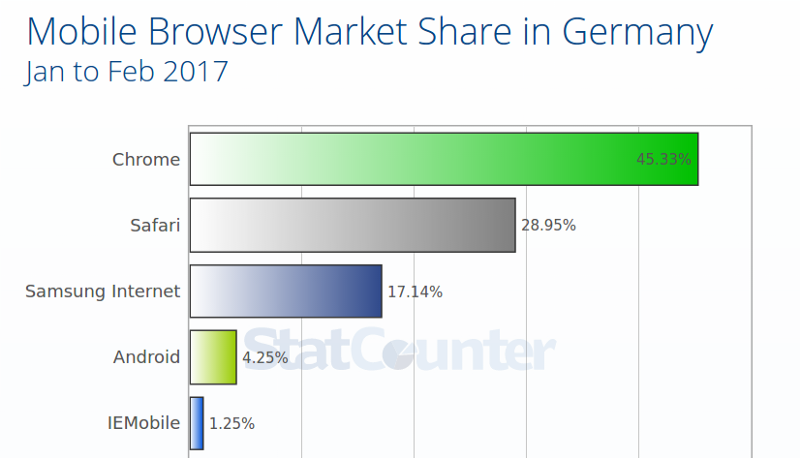 Why not update it to include the top browsers globally, or — like Ada did recently in Bulgaria — for the location of your audience? You may find Cătălin Mariș’s browser-logos repository helpful! Many browsers… Mobile browser logos from alraa/browser-logos. NB. The purple one is our new Samsung Internet logo, currently in beta and coming soon to stable! There may be more browsers out there than we care to think, but as my colleague Diego shared, thankfully they are all based on our open web standards: Many browsers, one Web! Update 1: Peter Gasston made a great point that a very major “browser” (well, a WebView) I have not mentioned here is Facebook. Another example of the frequent omissions in the “browsers” we think and talk about! Update 2: A couple of people pointed out that IE must surely have a higher market share than 4%? I agree that it seems unlikely/on the low side! Comparing desktop share, NetMarketShare indicates ~19% for IE, versus StatCounter’s 9%. I’ll leave you to compare/judge!